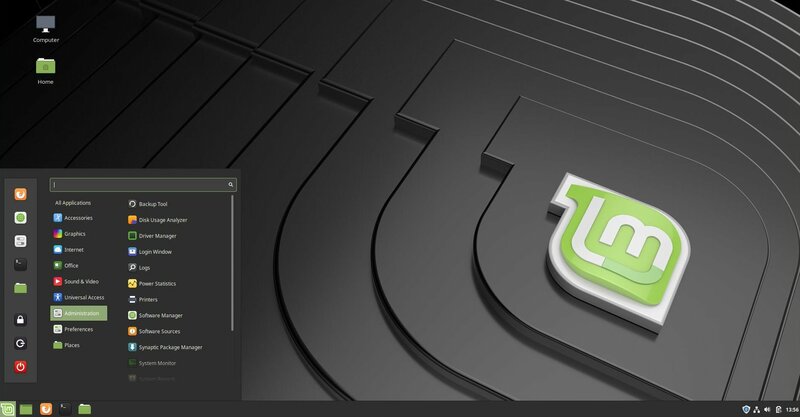 While Ubuntu and Red Hat grabbed most of the Linux headlines last year, Linux Mint, once the darling of the tech press, had a relatively quiet year. Perhaps that's understandable with IBM buying Red Hat and Canonical moving back to the GNOME desktop. For the most part Linux Mint and its developers seemed to keep their heads down, working away while others enjoyed the limelight. Still, the Linux Mint team did churn out version 19, which brought the distro up to the Ubuntu 18.04 base. While the new release may not have garnered mass attention, and probably isn't anyone's top pick for "the cloud," Linux Mint nevertheless remains the distro I see most frequently in the real world. When I watch a Linux tutorial or screen cast on YouTube, odds are I'll see the Linux Mint logo in the toolbar. When I see someone using Linux at the coffee shop, it usually turns out to be Linux Mint. When I ask fellow Linux users which distro they use, the main answers are Ubuntu... and Linux Mint. All of that is anecdotal, but it still points to a simple truth. For a distro, that has seen little press lately, Linux Mint manages to remain popular with users. There's a good reason for that popularity: Linux Mint just works. It isn't "changing the desktop computer paradigm," or "innovating" in "groundbreaking" ways. The team behind Mint is just building a desktop operating system that looks and functions a lot like every other desktop operating system you've used, which is to say you'll be immediately comfortable and stop thinking about your desktop and start using it to do actual work.